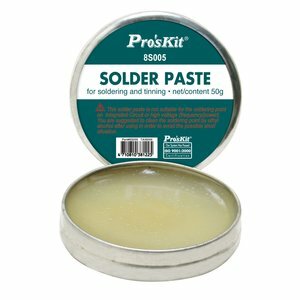 Pro'sKit 8S005 is a soldering paste (50 g). Composed of metal powder activated flux and blending agents. The area and thickness to be soldered can be easily controlled. No spot appears in non-soldered area. The paste has a good diffusion and non-corrosion properties.